When you have children, if you are anything like me half term brings mixed emotions. 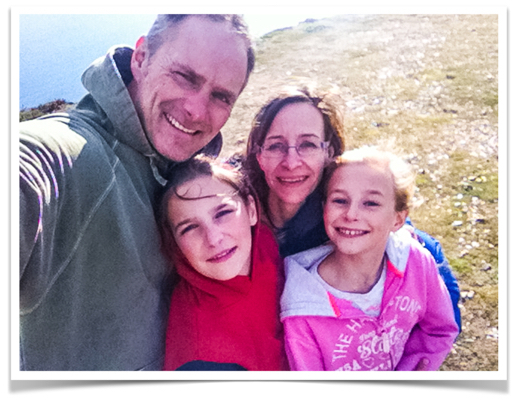 I love to have the children around to get out and about and spend some quality time together. There’s no mad rush to be out the door for school, no packed lunches to prepare or schedule to keep to. But by the end of the week I have that nagging parent’s guilt that we should have achieved more, we’ve wasted the precious time we have together and to top it off I’ve hardly done any work! So this year I thought I’d start researching in advance for February school half term events in Devon, Dorset and Somerset and make a plan! 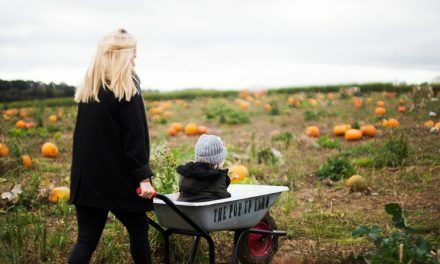 Sadly it seems that this half term is a bit lacking in free stuff, but here’s a round up of what the local attractions have to offer plus a few other recommendations. Wildwood at Escot encompasses everything I think a childhood should include – great fun outdoors, getting muddy, learning about nature and running around outside, as well as an indoor play area for the younger ones. 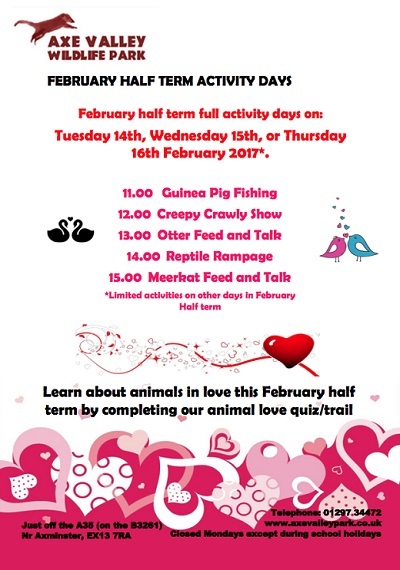 This half term there are animal talks and creepy crawlie welly walks at 11.30 and 3.30 each day and some new animals since we last visited. We are planning a trip at the beginning of half term so will tell you all about our day once we’ve been – assuming I find my way out of the maze! 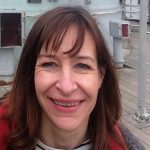 More details on the Escot website. Click here and head over to my Facebook page to enter a competition to win a free family ticket for Wildwood Escot. This is another place we enjoy and we’ve been NT members for years, which makes it feel like good value when you don’t have to pay on the day for a visit. The Christmas display at Killerton was magical and National Trust sites up and down the country are well known for adding new events and activities throughout the year. This half term they have a Spring Flower Trail which takes you on an exploration around the gardens nearest the house. Inside the house is lovely as well. There is a small toddler play area and we found a rope swing in the woods. Sadly no dogs on the flower route, however there are acres of parkland where you can walk your dog and importantly dogs are welcome in the cafe as well. 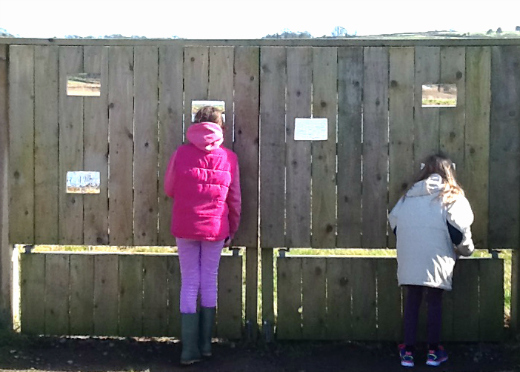 The spring trail is open from 11 February until 2nd March. For more details click here. Perfect for a blast of fresh air and a good outdoors stomp around where the children can run safely. There are easy flat footpaths and pushchair accessible boardwalks – you might even stop still long enough to watch some birds! Even better access to Seaton Wetlands is a FREE. The Wetlands has 5 bird hides, 3 pond dipping platforms with pond dipping equipment for hire and a Discovery hut. There is free parking, toilets (including disabled toilet and baby changing facilities), and a picnic area. Refreshments are available at the weekends as well as Mon 13th and Tues 14th from 10am – 4pm. Over half term you can help in the garden or if you are quick to book there might be some spaces left on the children’s birdwatching session. Follow this link for more events details and take a look my Seaton Wetlands blog post from last spring for more idea of what to expect. Sorry no dogs allowed. There are many other countryside areas supported by East Devon District Council that also hold events throughout the year such as Exmouth, Honiton and Cranbrook, so take a look at those as well. 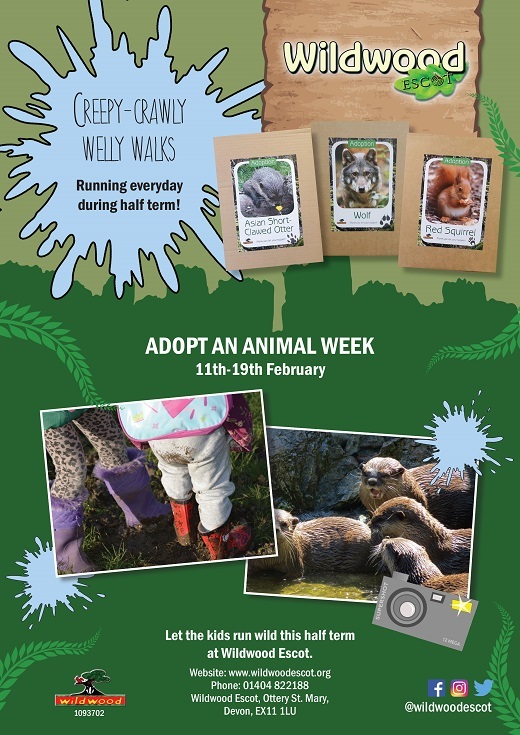 This wildlife park near Axminster just keeps getting better and they are open again after a winter break this half term. A great favourite with local schools and clubs I think more children have seen their animals than parents! I have not been since they first opened so will make this a trip soon myself. Over half term there will be activity days on the Tuesday, Wednesday and Thursday but they open all week 10-5. There is a proper café as well, always a bonus. More details on the Axe Valley Wildlife website here. We have been going to Crealy near Exeter on and off for years and used to have a annual pass when the girls were younger. 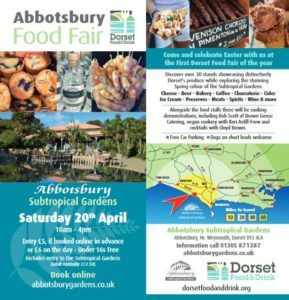 It’s still a great day out albeit not the cheapest (buy your tickets on online for a discount). Last Autumn we were lucky enough to be invited there for the fireworks display. Now the children are taller I only had to going on the roller coaster rides with them once as they are big enough to queue up and go on again themselves (phew)! There are lots of rides, slides and great indoor play areas (2 areas designed for different aged children), perfect for those wet weather days. The animal barn is lovely as well with daily feeding and grooming sessions. If it’s dry don’t forget the walk round the outside of the park through the trees and over the little bridges to the bird lake at the bottom. There are no specific events listed for half term but they do have a big competition running (see below). 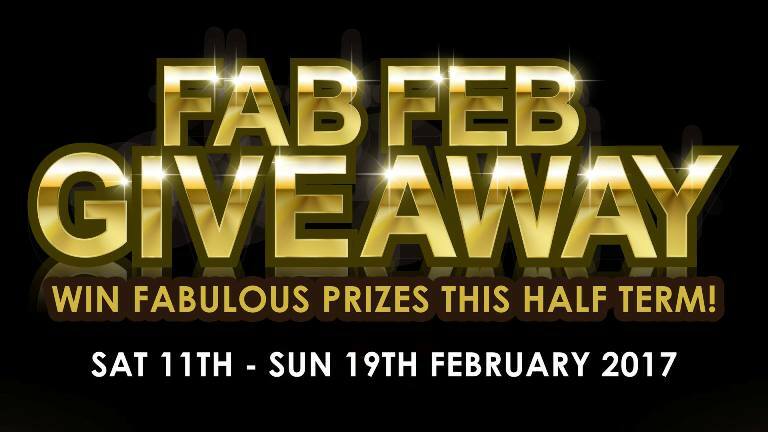 “Visitors to Crealy Adventure Park & Resort could be in with the chance of winning prizes for the whole family in a competition which runs from Monday 13th February to Friday 17th February. Prizes include annual family passes to Crealy, a family glamping break, an entertainment system worth £1,000, a luxury lodge holiday and Apple iPads for the whole family”. This is outdoors, no alternative! The aim is to get wet, muddy and have fun. 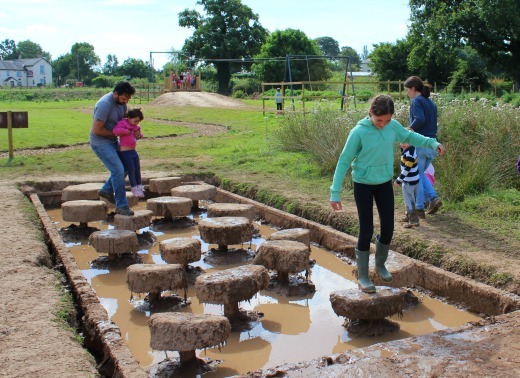 The Bear Trail is a army style assault course near Cullompton that all ages can have a go at. The girls loved it so we will be going back soon. Don’t worry about the cold and wet – just make sure you have spare clothes (a complete set!) towels and a bag for the muddy stuff – let the kids go mad, they will and they will be exhausted!! We went when it first opened so the pictures show a lot less mud than I would expect now and I think there have been some improvements but you can read my review here. There are showers to clean off afterwards and a cafe (good coffee and proper pizza). Having just renewed my National Trust membership this is on my list for half term. Barrington Court is a huge Tudor mansion in South Somerset. It was crumbling away until money was given by Colonel Lyle in the 1920s and restoration work started. It was used as a film set for the TV series Wolf Hall which lets you know how authentic this place is. 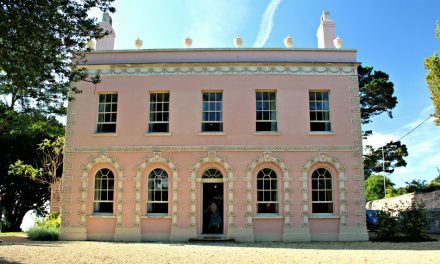 Now you can visit the house and enjoy the gardens and the obligatory NT tearoom! Over half term children can paint hand made wooden decorations or join in with the rangers activities in the woods. Dog are allowed in certain areas. 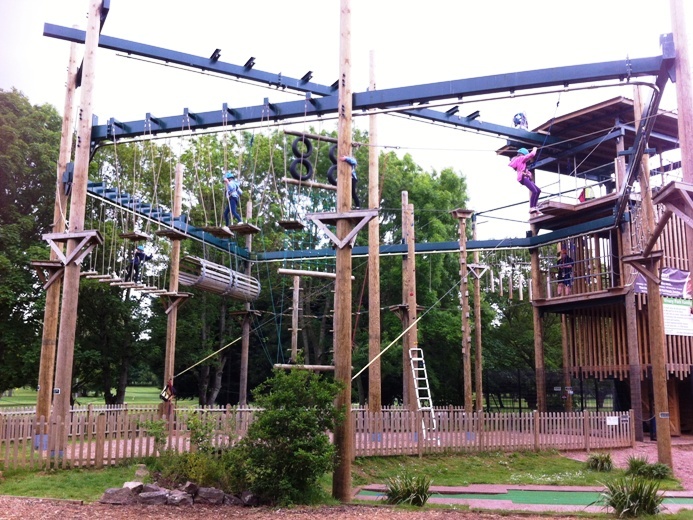 If your children are still too young for Go Ape then this is a brilliant alternative. Tucked away inside Vivary Park in Taunton, all ages can challenge themselves on this high ropes course – which is still pretty high and quite hard enough for most adults too! We’ve been several times so can recommend it. The picture shows the beginners course! There is also a mini golf course and a cafe next door. Take a look at the Facebook page for more details. At both ends of Vivary Park there are playgrounds, the one by the cricket pitch is great. You can walk to it through the park from the high ropes plus there are ducks to feed and lots of space to run around. Overall a really nice park in Taunton. There is parking at either end of the park or in the multi story nearby. 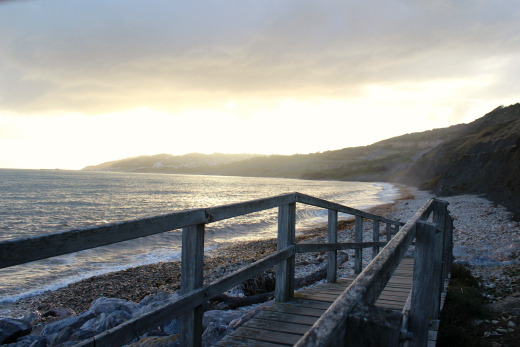 Living so close to the Devon and Dorset boarder, Lyme Regis is often our choice of beach for a short winter walk. We like to park at Holm Bush, walk down through the gardens and waste few pounds in the two pence slots in the arcade. 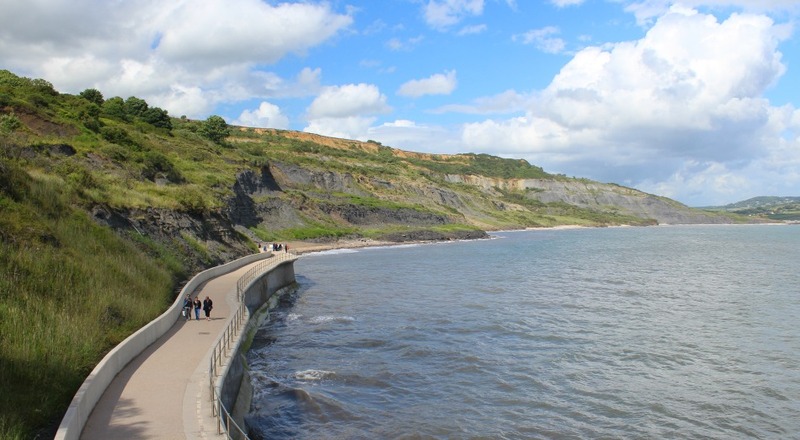 The other option is the Charmouth Road car park – head down the steps for great views across Black Venn and Charmouth beach. The sea wall defence walk is a great place for scooters and roller blades. Either way nearly always ends up with chips or ice cream! This half term you can enjoy Pantomine at the Marine Theatre as Robinson Crusoe takes to the stage from Weds 15th – Sat 18th. Many people attempt to find fossils on their own, often hacking away at rocks and clambering on the unstable cliffs much to the horror of the locals (yes they really are dangerous) – however the best option is to take a guided fossil walk. Run by the Charmouth Heritage Centre as well as other independent guides these really are the best way to learn what to look for. Well I hope I have given you some new ideas for things to do over half term in Devon, Dorset and Somerset. Of course you can try out some of my walks suggestions or treat yourself to a cream tea – I’ve got plenty more places on my list to try that need my approval! 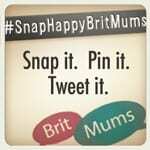 Please give me your feed back on the post or any top tips you have to share for others, either on the comments section at the bottom of this post or via Facebook. 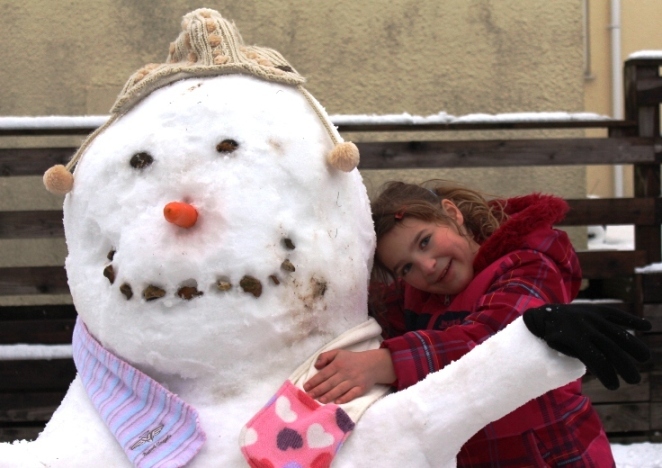 Or you never know – we might all be housebound in the snow like we were in 2013! Hi there I have reset it so the post is pinned to the top of the Facebook page now – for some reason it wasn’t showing – hope that works now. 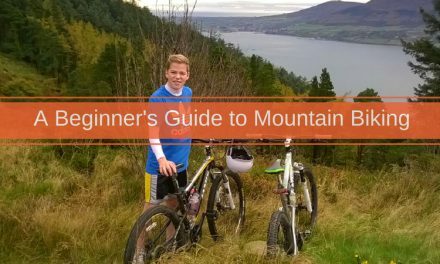 Some great ideas for a good romp in the fresh air. I too love Lyme Regis and really want to give the Bear Trail a go!